Jannene and Luke came home after just one day in hospital and are both doing brilliantly. The first thing Rory did today was to bring Luke’s teddy in for him so that seems to be going well too. Anyway at last I have a few photos up. He is very cute. 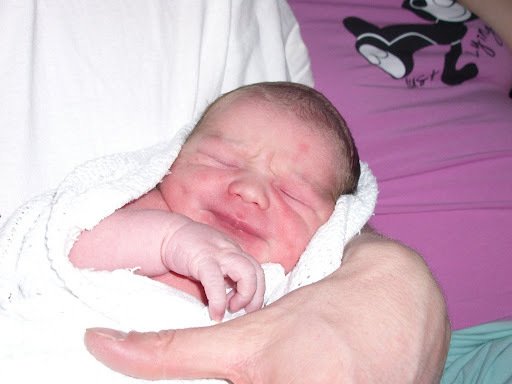 He was only a few hours old when we took these and he’s still looking a bit scratched and squished up. I’ll take some more today and get them up very soon.